We are manufacturing products for transformer designed by the high-level technology and know-how after taking over the business affairs from Chino Instruments Co., Ltd. which is out of business in December 2000. The products manufactured and inspected carefully in details under the design based on the long-time research and experience results and the perfect quality control have been used for important facilities such as power stations and sub-stations for a long time. 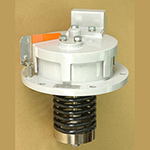 This is a safety valve to prevent the tank and belongings of transformer in power stations or substations from being damaged by detecting abnormal pressure in the tank and discharging the nitrogen gas or oil used for insulation in the upper part of the tank to the air in a short time. 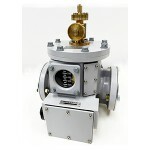 This product is used to measure and indicate the level of oil in the transformer. 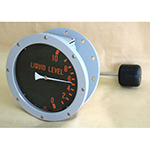 This gauge indicates the oil level position by using a magnet. 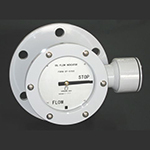 Electric contact device switched on upper or lower limit is provided. This relay is installed between the main unit of the transformer and the conservator in order to protect the transformer and detect an accident of internal mechanism. 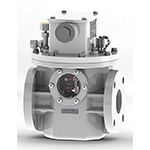 In addition to the features of the existing Buchholtz relay, this relay has a strong structure against vibrations which is based on an excellent internal mechanism. 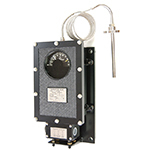 The vapor pressure type thermometer has the fastest instruction response function among metal thermometers and is not affected by ambient temperature. 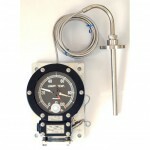 Therefore, this thermometer is widely used for temperature monitoring in important facilities. 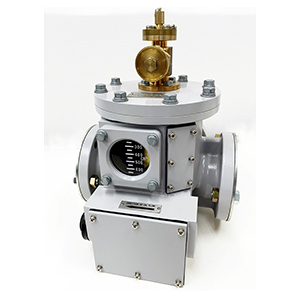 This product can be widely used as a measuring instrument for temperature management and control of transformer. We have one type for “winding” that performs temperature management by using a heating coil and the other type for “oil” that detects and controls the oil temperature.